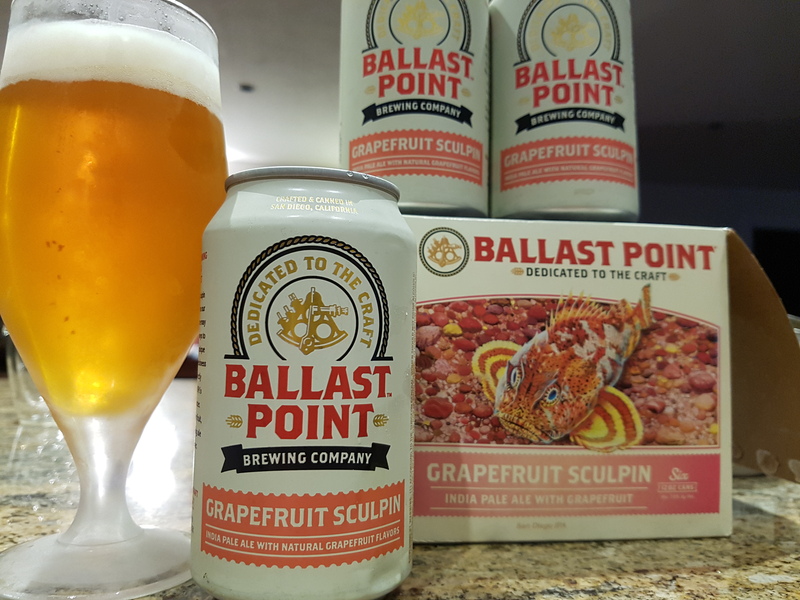 Grapefruit Sculpin – Ballast Point Brewing Co. (San Diego, CA, USA) | Justintoxicated. Visual: (cellared for 1.5 years). 12 oz. can. Pours translucent bright orange with a slowly dissipating foamy head, sticky lacing, 5mm fine foamy retention, very tight clustered micro streams. Summary: Incredible smoothness from start to finish. Lots of flavour, body, balance, and drinkability for a 7% bitter bomb.